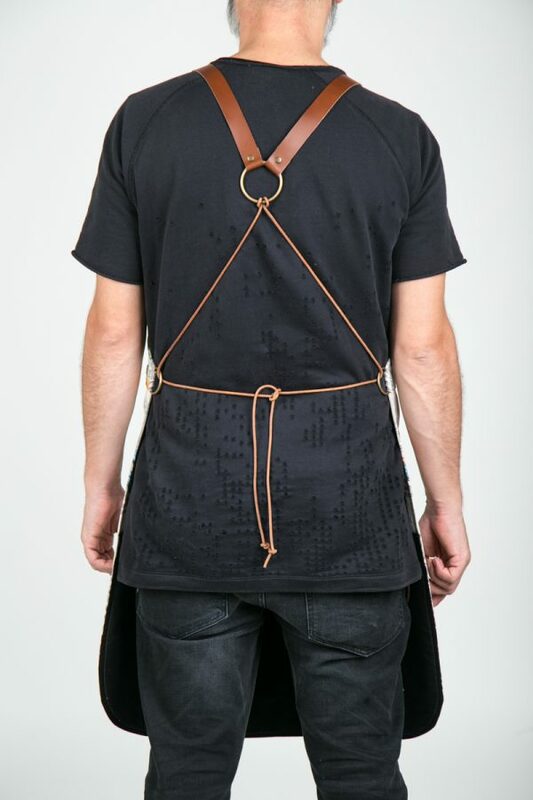 Apron made of black indelible gabardine. It has two functional pockets in different sizes depending on your needs (pda, money, coin holder, opener). Exceptional lining that comes in different colors to choose from. 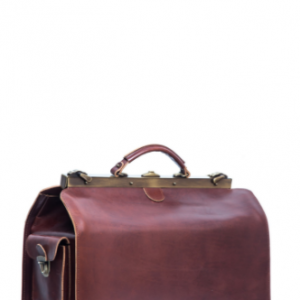 For the neck tie we use hooks with genuine leather straps that end in a ring on the back with cross back straps tied in the waist with a string. 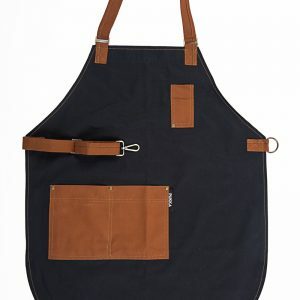 Choose the combination of colors in the BLACK POWER apron depending on your workplace and your personal taste. All our designs can be made in both women and men patterns and sizes can be adapted depending on your body type. The neck and waist tie can change (dungaree, hooks, rivets, clips, X-design). 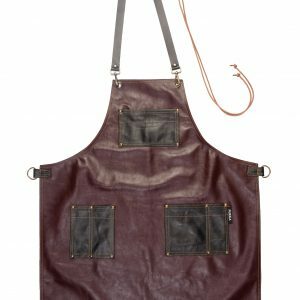 Customize your own apron for a personal standout style!